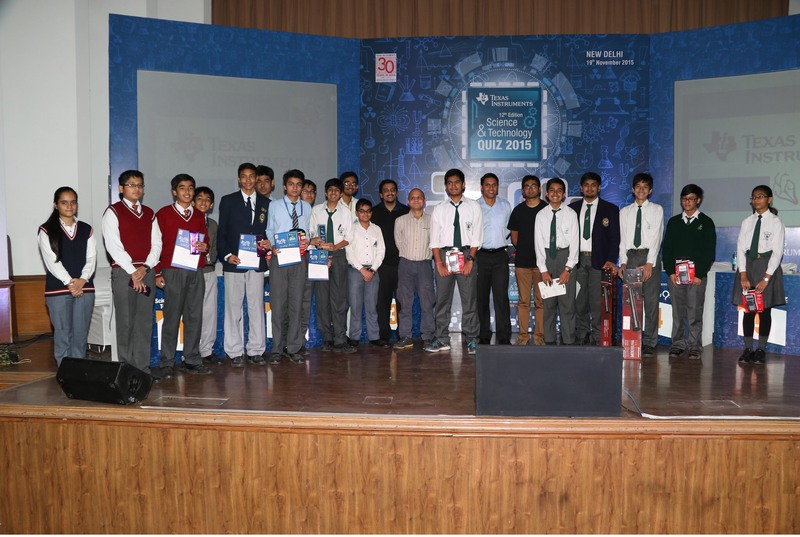 The third leg of the 12th Texas Instruments Science and Technology Quiz concluded in Delhi at the Sri Satya Sai International Center auditorium on November 19, 2015 with Delhi Public School – RK Puram, Delhi emerging as the zonal winners. 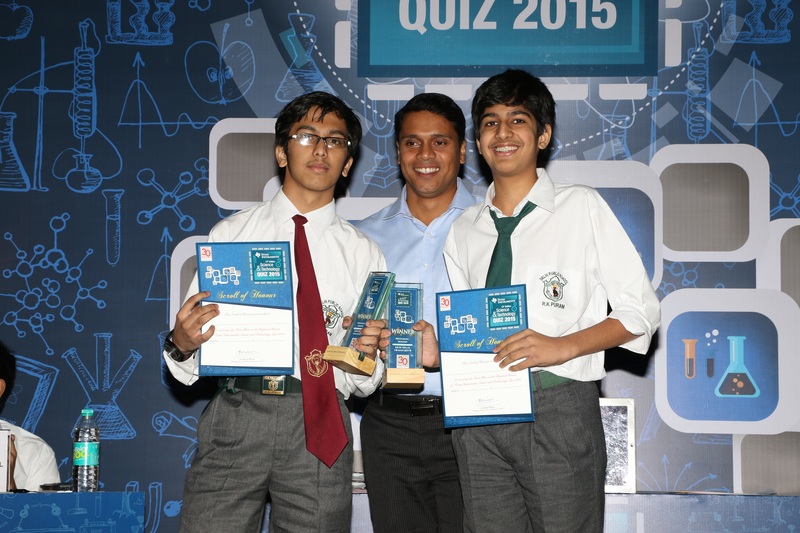 With this win, Sagnik Anupam and Kabir Goel from Delhi Public School – RK Puram have qualified to compete in the final round of the prestigious quiz scheduled in Bangalore on December 5, 2015. The winners were handed over Kindles and shall also be sponsored a free trip (transport and accommodation for both the students and one teacher) to Bangalore to participate in the National finals with a chance to win other exciting prizes (Laptops, IPads, etc.). Delhi Public school – Noida was declared Runners up at the event where Maruth Goyal and Pranava Dhar, won telescopes as prizes. The Delhi rounds of the quiz drew participation from about 194 students, forming 97 teams across various schools in Delhi. The quiz saw students racking their brains for answers to every question that came their way, making it a tough but enjoyable experience for everyone attending. The TI Science & Technology Quiz, now in its 12th edition, aims to carry forward the abundant tradition of innovation that has been a hallmark of the company. In its 12th year, Texas Instruments (TI) hosts this quiz nationally for students from class 8, 9 and 10, with the aim to nurture India’s future generations through the spirit of inquiry and innovation – the cornerstone of science and technology. This quiz provides a platform to these bright and young students to help them develop an innovative mindset by exploring STEM as a course of life. Hitherto known as the Jack Kilby Quiz, it was first launched in 2003 as an endeavour to create opportunities for young talent and promote education in the fields of Science, Technology, Engineering and Mathematics (STEM) in India.